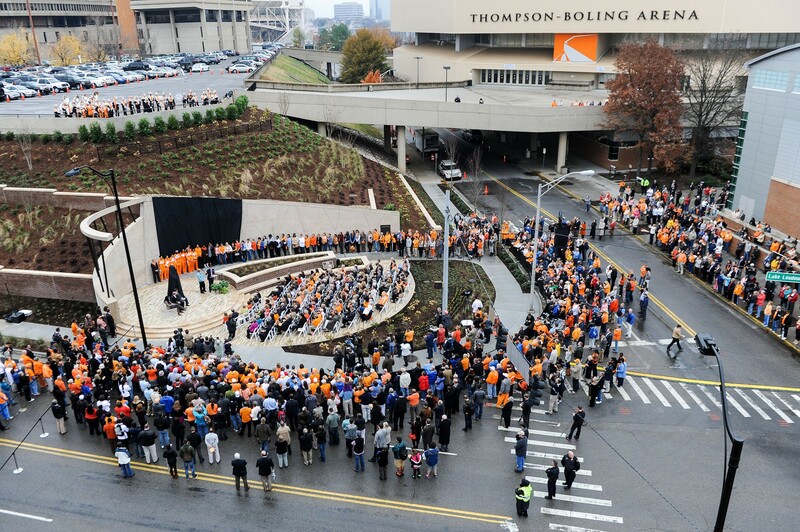 Pat Summitt Plaza provides a permanent tribute to this beloved Lady Vols basketball coach and celebrates her success as one of the all-time winning coaches in all of sports history. 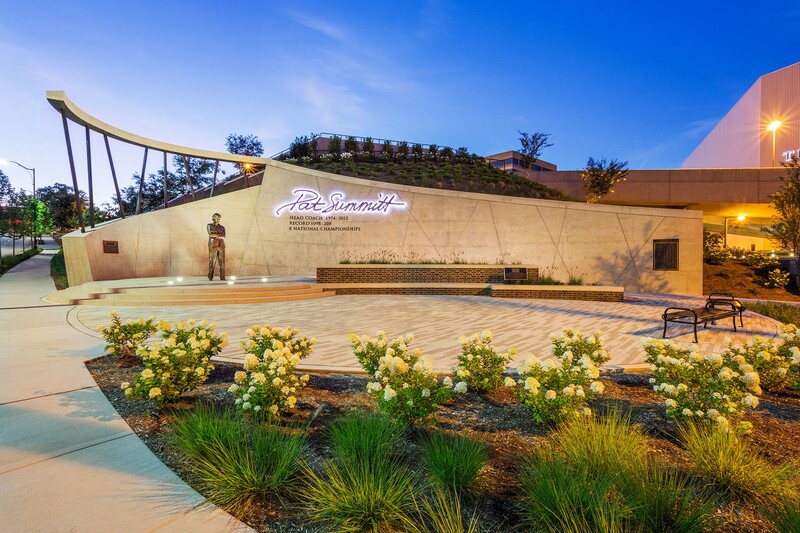 The plaza, located at a major campus entrance and the intersection of two primary streets, greets visitors as they arrive for daily life and for events at nearby sporting venues. 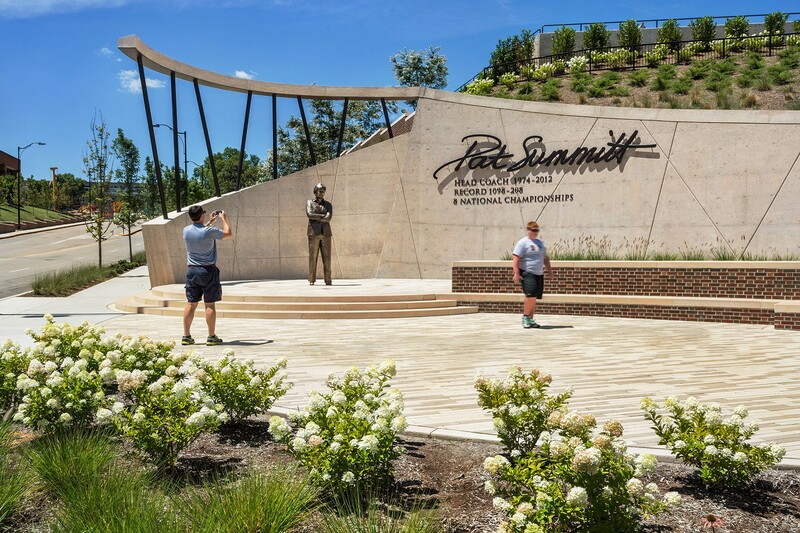 A curved and canted wall embossed with her signature and records retains a steep slope that creates a dramatic backdrop for a greater-than-life bronze statue of Pat Summitt. Raised on a podium above the plaza, the statue is accessible to all and is reflective of Pat’s relationship with her friends, family, athletes and fans. Elements of the design subtly recall the various court floors she stood upon and the number of nets she victoriously cut. The plaza is quickly becoming a revered and pleasant place for gathering on campus.